After one decade of tricks, scientific misconduct and corresponding mass-publishing and mass-advertising in the media, «tobacco «control»» researchers at war against the ««waterpipe»» (i.e. the Middle East Peace Pipe) are progressively abandoning, one by one, the myths and hoaxes which contributed to their fame [1-2]. Another noticeable intervention in the ““debate”” was that of Olivia Maynard and coll. who set about abandoning other widespread myths spread over the past decade by their own colleagues: e.g., the popular belief in the higher toxicity and ““nicotine” addiction” potential of the Middle East Peace Pipe (vs. that of cigarettes). Maynard et al have actually put forward “objections” coming from our own literature since it is the only one having exposed from an early dated the above fallacies. The evidence can be found in a long series of peer-reviewed academic publications (including the first critical reviews and pioneering studies on CO poisoning, cancer risk in relation to the MEPP, etc.) on this issue as early as 1998 . If we had to mention only one, it would be the recent 1000 word paper published in the British Journal of Cancer. Such an article gives anybody a clear idea of the scope and size of such fallacies . Readers familiar of our scientific integrity-driven critical literature will immediately note how Olivia Maynard et al’s paper matches the definition of plagiarism. The other readers may simply pick one of our publications (e.g., a further paper published by the two authors of the first aetiological study on hookah smoking and cancer ) and judge by themselves. Sub-heading: “Three leading experts from across the Middle East have warned that excluding “shisha bars” when England goes smokefree on July 1 could worsen the grave inequalities in health that already affect ethnic minorities”. (note: none of the experts was working or living in the UK…). Jawad M, McEwen A, McNeill A, Shahab L. The importance of addressing waterpipe tobacco smoking: research and policy responses. Nov;108(11):1887-8. Addiction. 2013. doi:10.1111/add.12341. Eissenberg T. What can waterpipe tobacco smoking teach us about the need for a more rapid response to emerging non-communicable disease risks? Addiction 2013 Nov;108(11):1885-6. doi: 10.1111/add.12296. Plagiarism. Ethics in Research & Publication. 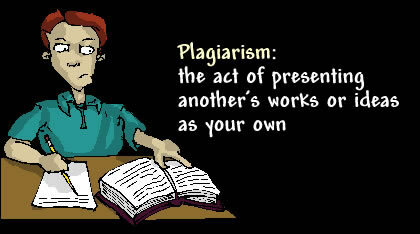 -Zaga V. Plagiarism in biomedical sciences: a bad habit that needs to be rooted out [Il plagio in campo medico-scientifico: un malcostumbre da estirpare]. Tabaccologia 2009;4:5-7. -Fabienne Bogadi. L’Université de Genève prépare un plan d’action contre le plagiat [The University of Geneva is preparing an Action Plan against Plagiarism. Le Temps (Switzerland), 2007 (24 Aug). Heavy Metals, Heavy Lies on Behalf of the American Chemical Society (Middle East Peace Pipe) – The Middle East Peace Pipe linked to this post. An Emirati Gazelle Tells You the “Truth” about the Hazards of the Middle East Peace Pipe (Hookah, Shisha, Narghile) – The Middle East Peace Pipe linked to this post. La cigarette électronique vue par le plagiaire en blouse blanche n°1 en France – The Middle East Peace Pipe (Scientific & Ethical Issues) linked to this post.